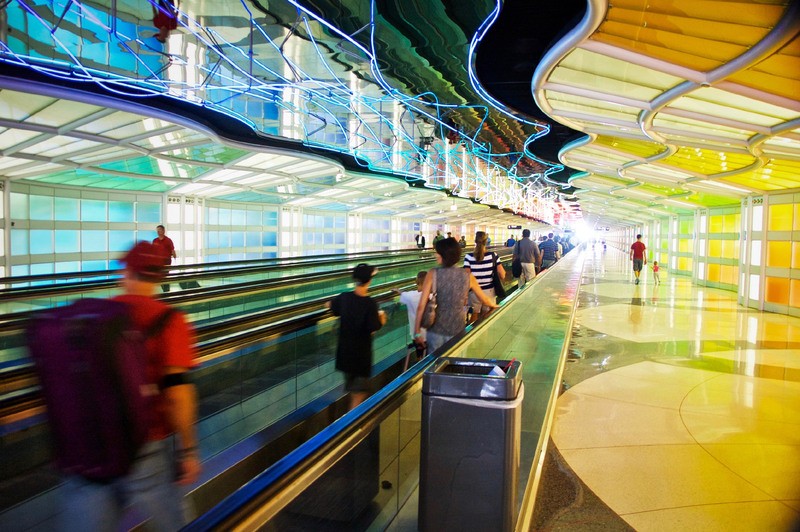 After the release of a star-studded shortlist last November and the subsequent proposals in January, the city of Chicago has chosen Studio ORD Joint Venture Partners to design the $2.2 billion O’Hare Global Terminal and Global Concourse at O’Hare International Airport. 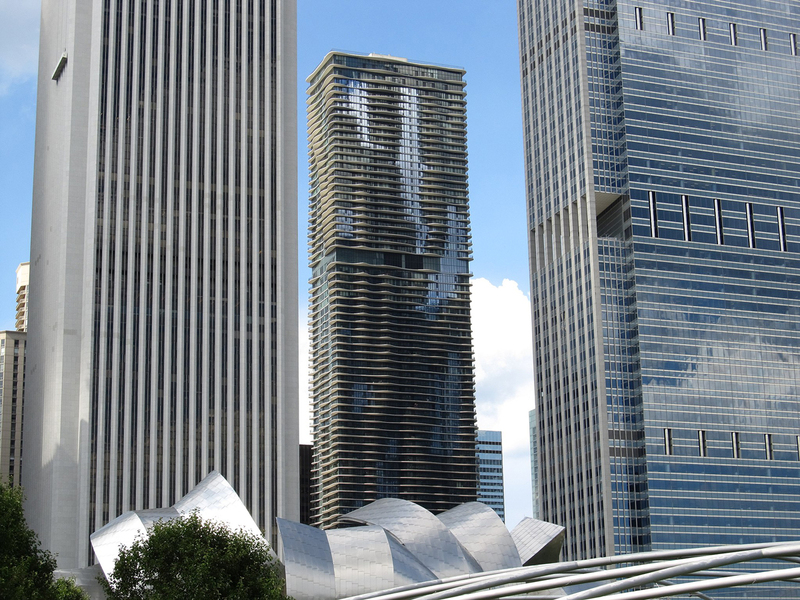 The winning team consists of Chicago’s own Studio Gang, the international Corgan Associates, as well as local firms Solomon Cordwell Buenz and STL Architects. Studio ORD’s proposal is themed around convergence and features multiple elements that join together in geometrically intricate ways. The terminal’s massing consists of three U-shaped ribbed structures that join in the middle, creating a rooftop “island” and central skylight. Each segment peaks at the center, reminiscent of a mountain. 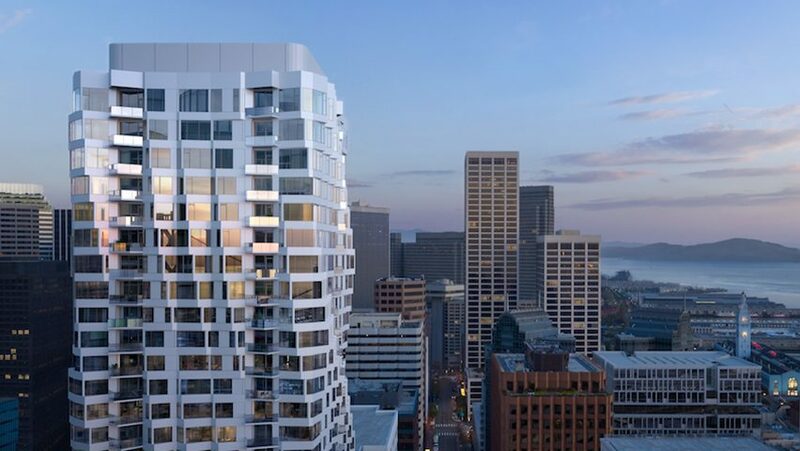 Timber will be used heavily throughout the 2.2-million-square-foot building, as Studio ORD has proposed cladding the underside of each rib, and many elements of the interior, such as the escalators, in wood. Additionally, from the video released as part of their proposal, it seems that the terminal’s interior will be well planted. 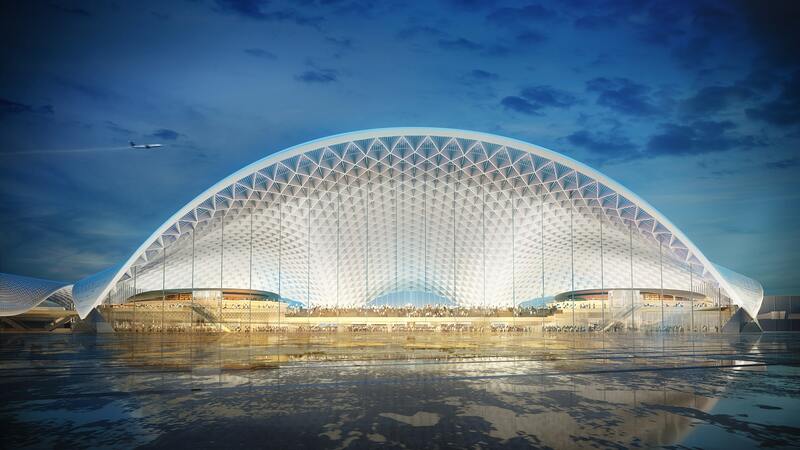 The team has described their terminal as densely programmed, but easy to navigate, and it appears that the central void below the skylight will anchor the scheme. ﻿ The O’Hare Global Terminal will replace the existing Terminal 2, which was built in 1963. The new building is part of the $8.5 billion O’Hare 21 expansion, which will modernize the airport and expand its footprint from 5.5 million square feet to 8.9 million square feet. Even though Studio ORD has taken home the design competition’s top prize, the remaining four teams are still in the running to design two new satellite concourses adjacent to Terminal 1. The city will decide on the winner in the coming months. 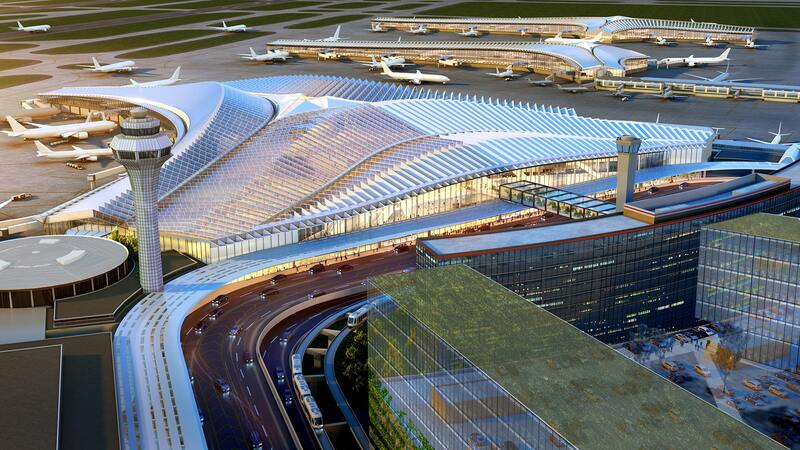 The O’Hare Global Terminal is expected to break ground in 2023. 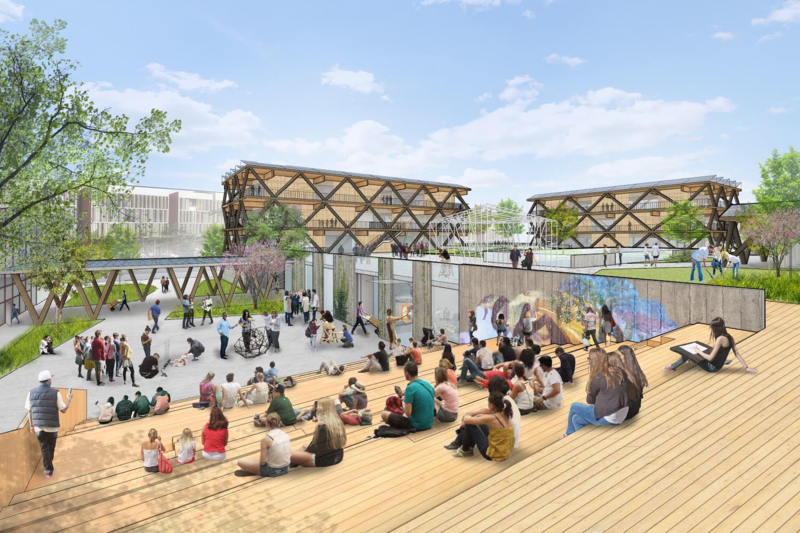 Studio Gang and California College of the Arts (CCA) have unveiled new renderings for a planned three-year expansion of the school’s San Francisco campus. The renderings offer the first glimpse into how the Chicago-based architects will rework the arts college as CCA moves to consolidate its San Francisco and East Bay campuses by taking over a parking lot adjacent to the original school site in San Francisco’s Mission Bay neighborhood. Renderings depict four rectangular buildings set on an elevated plinth behind the existing school, with a pair of sunken courtyards and lawn spaces populating the areas between the buildings. The concrete-wrapped podium steps down to meet the existing school, leaving a third, block-long courtyard space in between the two structures. The new buildings, according to the renderings, are designed with perimeter circulation wrapping enclosed classroom spaces and feature what looks like heavy timber construction. The buildings are shown with large-scale super truss elements along exterior walls and are topped by solar arrays. CCA’s expansion will also include a residential component by additional architects including Leddy Maytum Stacy Architects that seeks to add up to 1,000 additional beds to the campus’s residential accommodations by 2025. The campus expansion is being designed to house the college’s 2,000 students, 600 faculty members, 250 staff members, and 34 academic programs all one site, as outlined by the school’s “Framing the Future” visioning plan, a scheme developed in 2015 by Gensler and MKthink to guide the school’s next 85 years. 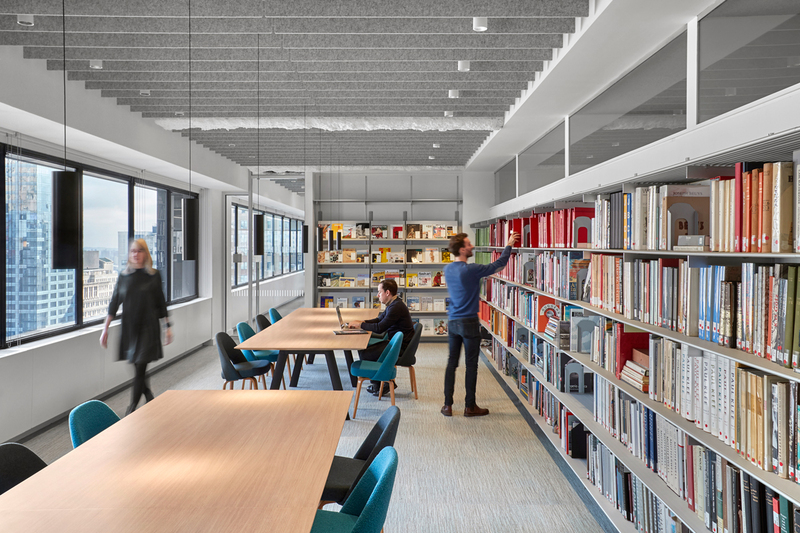 Studio Gang beat out Michael Maltzan Architects and Allied Works for the commission in 2016 and the firm is expected to release more information on the expansion later this summer. The full campus is slated to open for the 2020–2021 academic year. 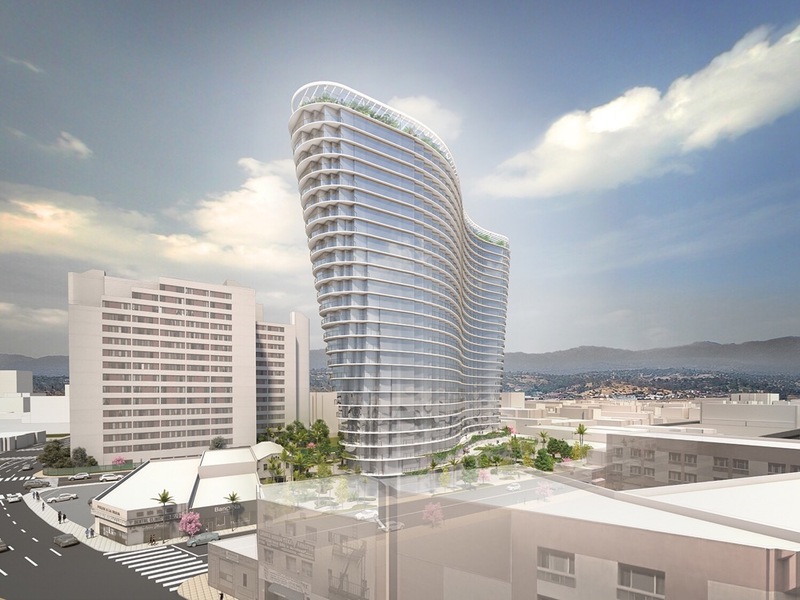 Chicago-based Studio Gang, French real estate investment company Compagnie de Phalsbourg, developer Creative Space, and European lifestyle brand MOB Hotel have unveiled plans for a towering hotel and apartment tower complex slated for Los Angeles’s Chinatown neighborhood. 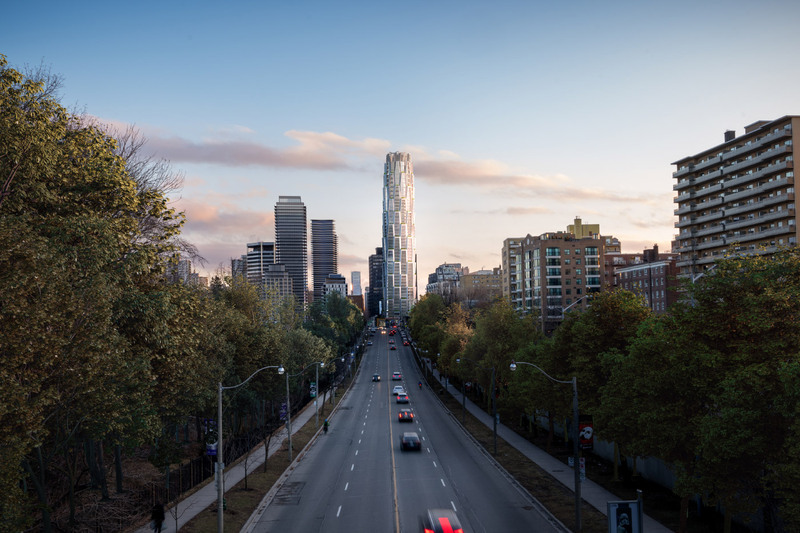 The sinuous, glass-wrapped tower will rise diagonally from a site currently occupied by a pair of commercial buildings and a parking lot, among other uses. 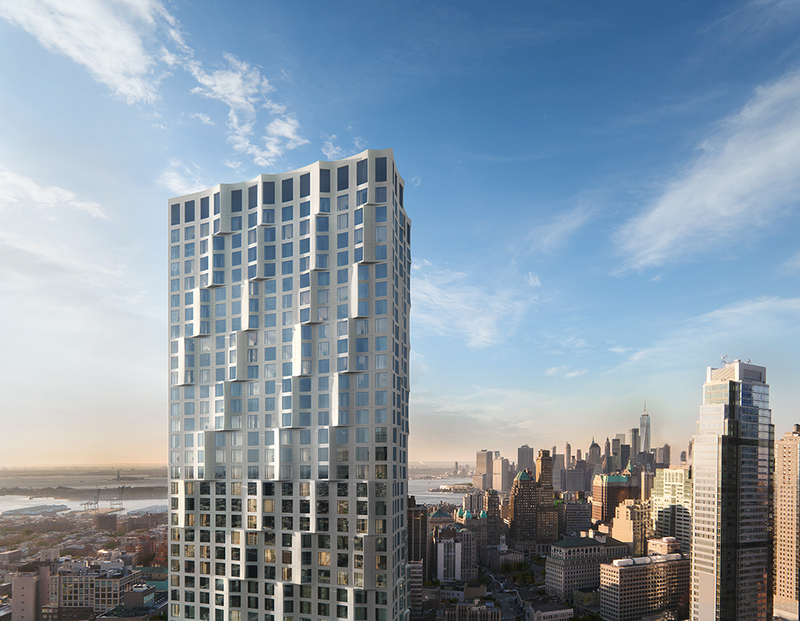 A rendering released by the development team depicts a tower that grows wider as it rises from the site, revealing larger, cantilevered floor plates containing balcony spaces along its uppermost floors. The project is among the first high-profile developments in the neighborhood following recent new construction and the completion of the Los Angeles State Historic Park. 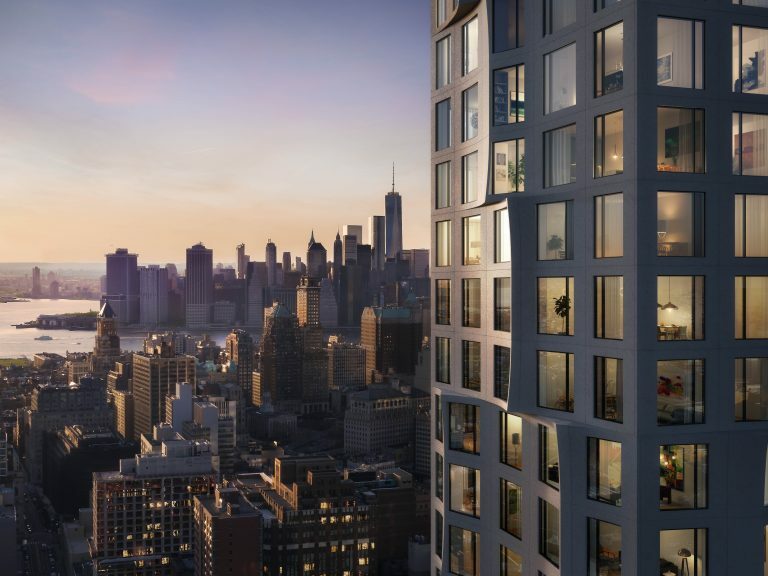 The project will likely transform the neighborhood, replacing a modestly-scaled commercial area with plazas, a 149-key hotel, and 300 new residences. It does not contain an affordable housing component. 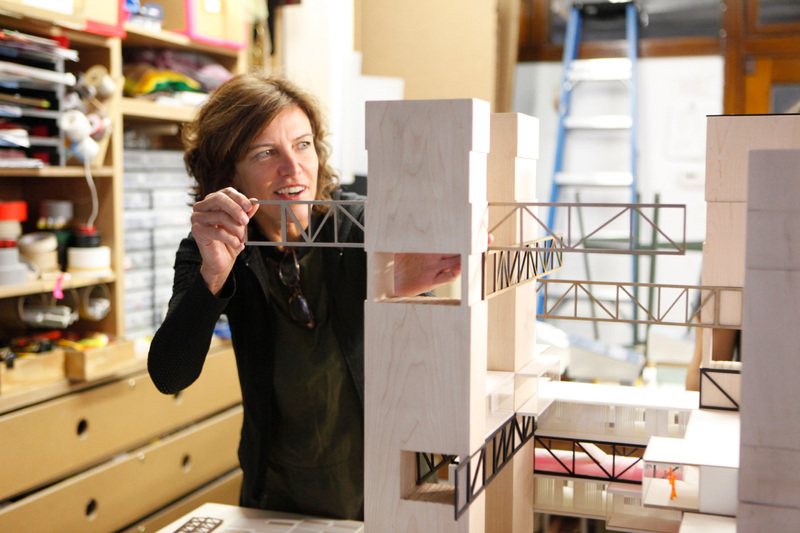 “This project transforms a parking lot and commercial strip into an architecture that opens up the potential of the site to connect neighborhoods,” Studio Gang Founding Principal Jeanne Gang explained via press release. Gang added, “Responding to the growing needs of the city, we designed the footprint to enable new generous outdoor public space at ground level while simultaneously creating a curved upper volume to capture views, light, and air for the building’s inhabitants.” The project comes as development around the new state park heats up, with several other multi-phase, mixed-use developments currently in the pipeline. The project will be Studio Gang’s first project in L.A. and represents the changing tenor of development in the city’s urban core, which is becoming more star-studded and international in nature than has prefiously been the case. Nearby, Johnson Fain and SWA Group are working on the 355-unit La Plaza de Cultura development, while efforts are made to create a new master plan for the surrounding neighborhood and adjacent Civic Center areas. Studio Gang’s project will now head into the community review phase; a timeline for construction has not been announced.